for nine years, the owners and employees let me in before they open to the public. Each morning after my three mile walk along the beach, I head to the Farm for my cool down. Wandering through the lush green paths, I watch at the butterflies stop to land on a flower or a leaf, then flutter away in search of more. The Atlas Moth,however, became my favorite. All so different and lovely! Wonderful shots of all the different butterflies. What a place to cool down! 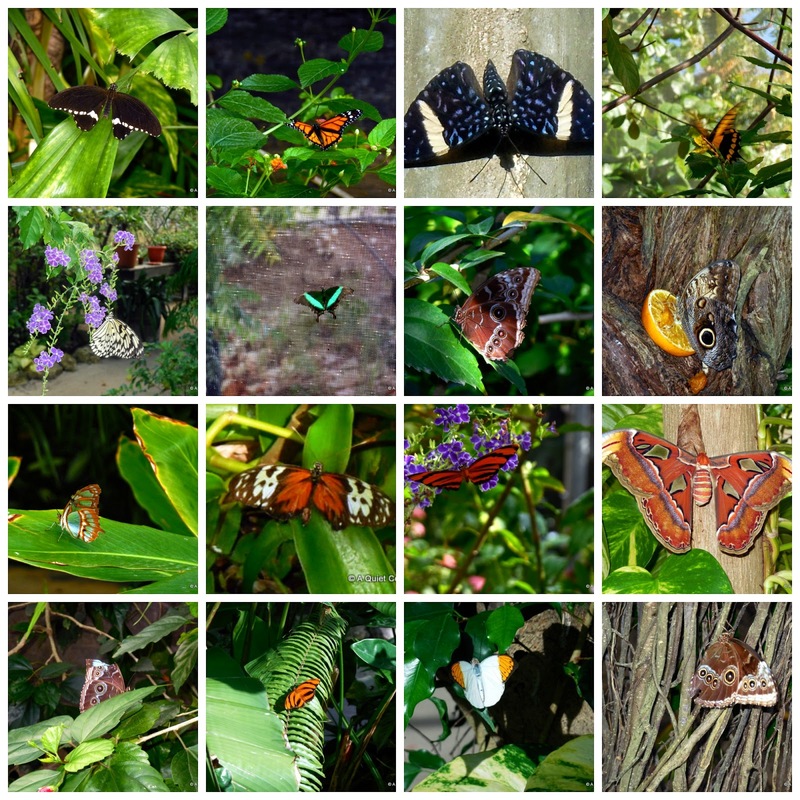 So many varieties of moths and butterflies to capture with your camera, thanks for sharing them JP. These variations made for a colorful collage, JP. We have visited several butterfly gardens on various trips and it is always an exciting adventure, especially when they land on one's head or hand. They are all such lovely pictures. i can just imagine that walk. We have little white cabbage butterflies following us on our walks now. They always do that here. Wow, what a grand butterfly house! Fabulous...I love that gigantic moth! Oh wow, gorgeous butterflies.. I love to visit a butterfly farm! Lovely mosaic and photos. Wonderful to have a butterfly house in the vicinity. Love that Atlas moth! Thank you for linking in these very beautiful and lucky butterflies. Aruba must be a wonderful habitat for them.. Michelle from Nature Notes..